This is the story of the modifications done for my solo horse ride. 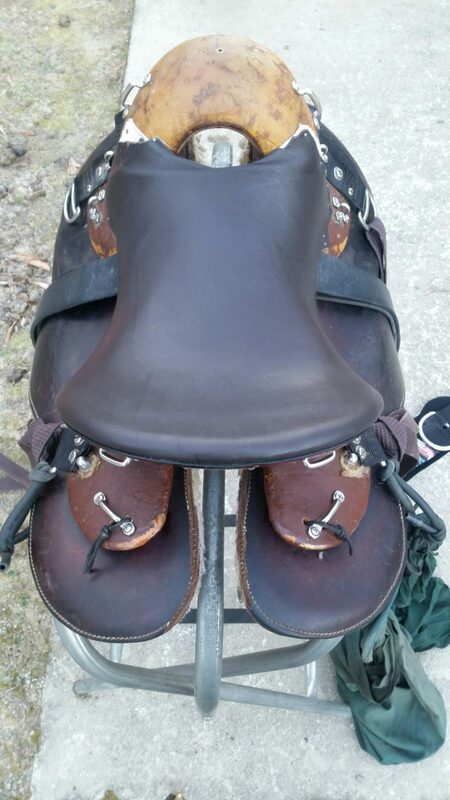 I was humbly gifted a 1st Gen Orthoflex to use as a replacement for the Big Horn Endurance 120 saddle I used on the 1st 1000 miles of my solo horse ride from Canada to Guatemala. 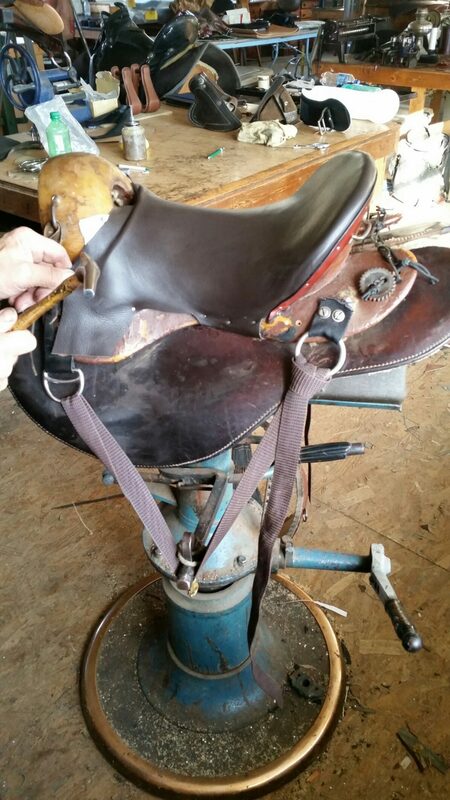 I had to do a few things to this old barn stored saddle before making it workable for me. The Orthoflex I modified was #313, originally made for endurance rider Julie. A Powell in the late 80s. It featured the original flex panel system, known as System I. 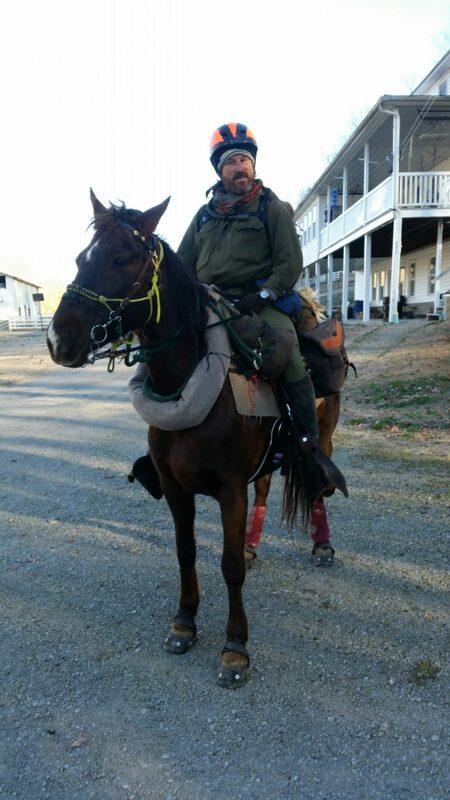 As I tried it on my horse on our days off at the 1000 mile mark of our 5000 mile trip I noticed it fit, but the old built in sheepskin covering was old, ratty and smelly. So my first task was to remove all of it. This was after noticing that the ground seat under the sheepskin had foam glued to it. This I left on. I then rode it one day with my new friend Amy Wallace Whelan and her endurance friend. After deciding this saddle would work, I made sufficient tie out points to attach my saddle bags. Now let’s go back in time a bit. 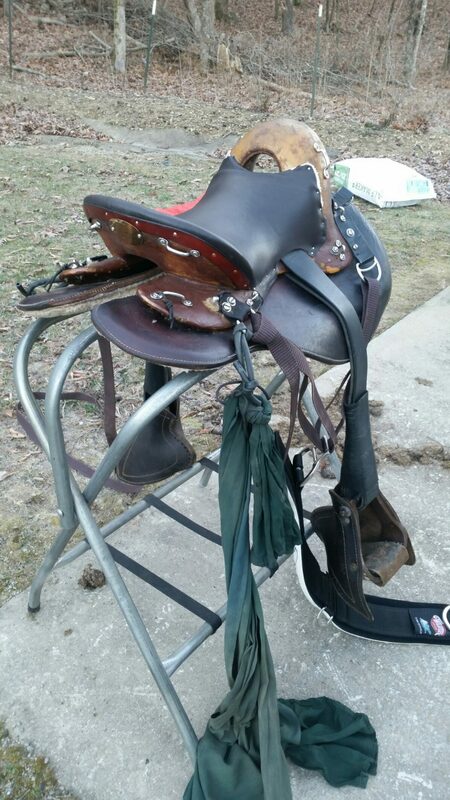 A month previous in southern Pennsylvania I had started looking for a new saddle to replace the first one. The ground seat in it was just not comfortable for me, and I knew I wouldn’t be able to do the whole trip in it. 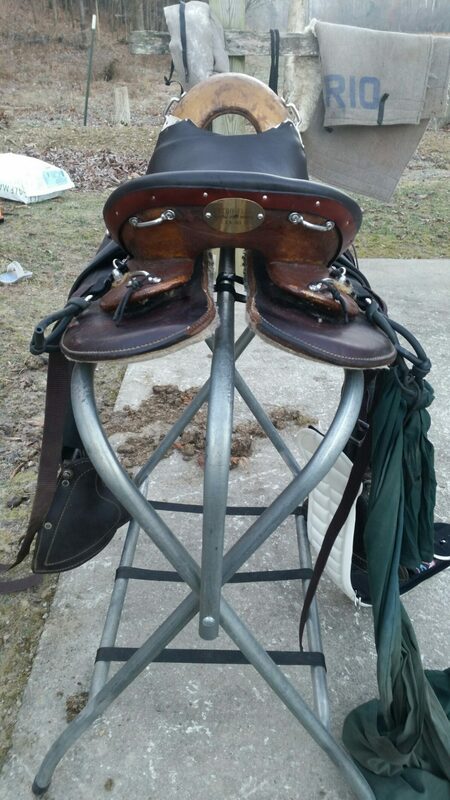 I starting looking for a saddle with a suspended seat, either elevated like the trooper saddles or lower down like Aussie and some English saddles. Basically I wanted a comfortable saddle. 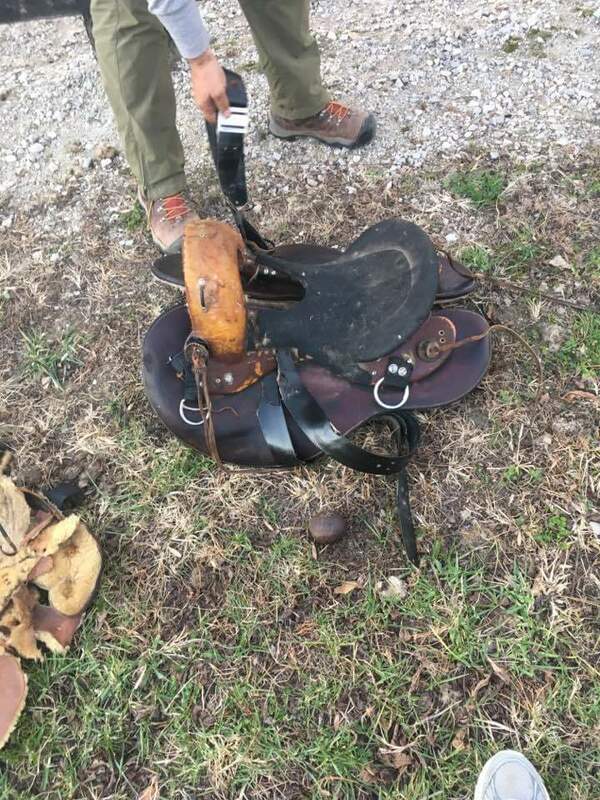 I had heard online that Miller saddles featured a very comfortable suspended ground seat that still allowed for close contact with the horse. Supposedly they were from Kentucky. I looked online on how to get in touch with Eli and Henry Miller. 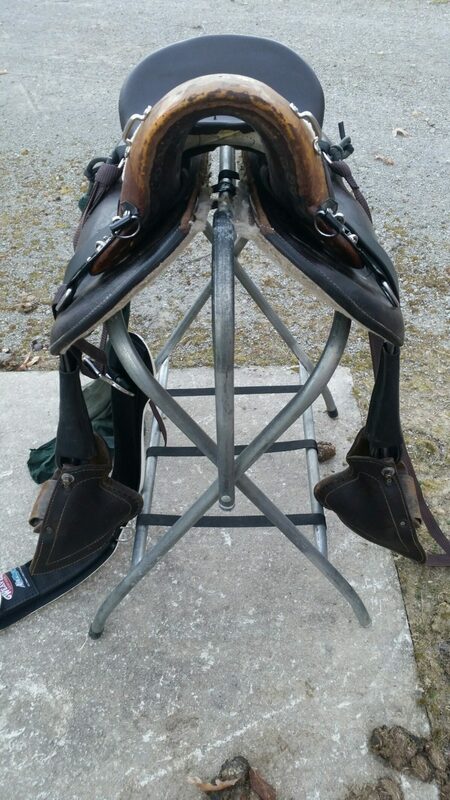 I went to different websites and found that they made almost identical saddles. 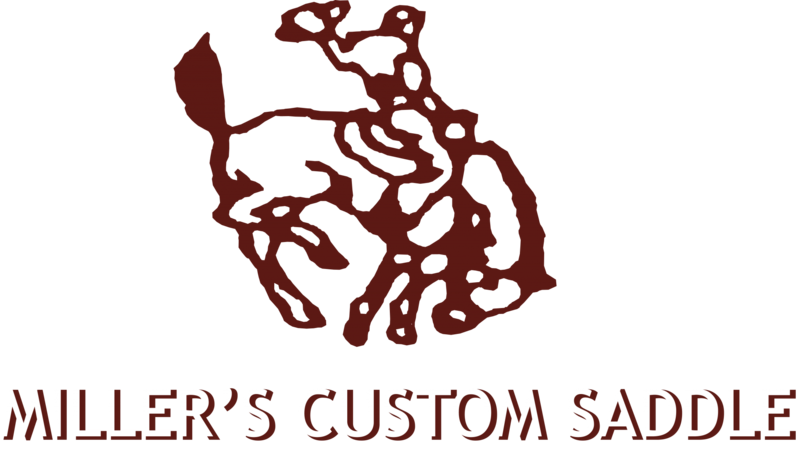 Both main websites for either saddle maker was located in Corbin, Kentucky. This would be right along my route! 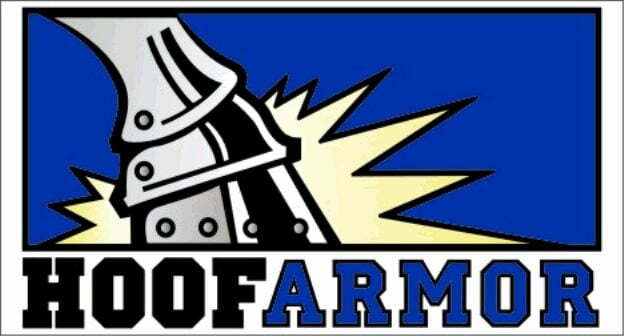 But, as I found out, neither Eli nor Henry lived in Corbin, rather one of Henrys wholesalers’ and Eli’s reseller did. I talked to both people and they let me know that they would get in touch with the saddle makers by phone, letter and visit. You see, Eli and Henry are Amish. I heard back from Elis’ guy Jim Farris Farris of Custom Comfort Saddles but at the end I couldn’t get directly across to Eli. Only indirectly. 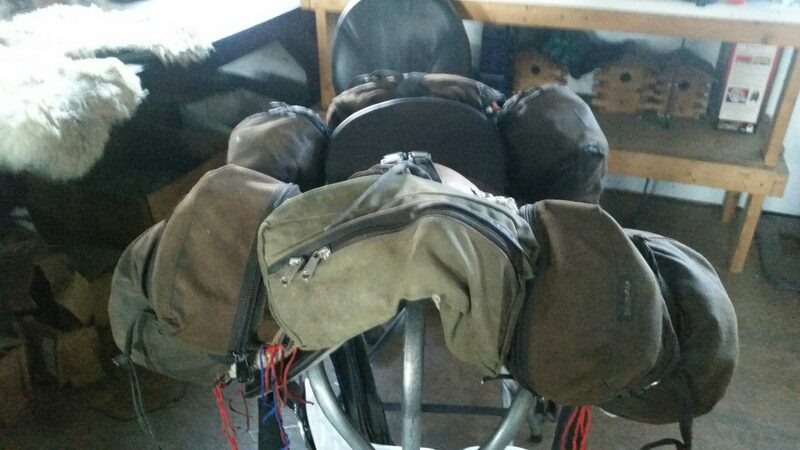 At first the message given was that I wanted a pared down version of his endurance model 105, but the after I got the old Orthoflex, the message was that I needed tie out replacements and additions, as well as either a padded seat cover OR even better, a custom suspended ground seat. Which is exactly what I got after 9 days and 205 miles of riding from Louisa Kentucky to Barnett Creek in central Kentucky!!! 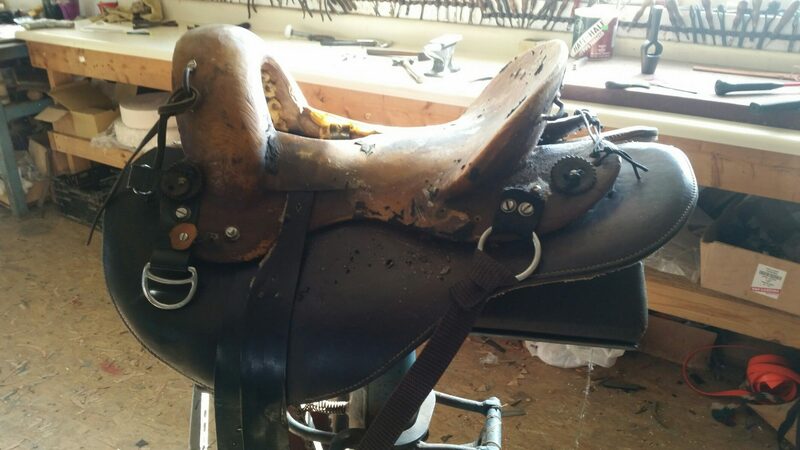 Here are the photos of this magical saddle transformation. A new Orthoflex/ Eli Miller saddle I call The Hypnotizer. First we took the old sheepskin of the saddle, leaving the foam on the seat. Then we added enough tie out points to get us to Elis. We added foam padding on the seat, and a sheepskin on top to make it more comfortable for the 215 miles there. When we got to Elis we tore of the seat foam and he began his work. First, custom webbing was tacked in front and back. Then, Cordura was tacked in over that. Then 3/4″ foam was custom fitted. Then, he put on a leather sheath, capping it at the back. After that, we replaced old attachment points and added new ones. It was done surprisingly fast. I tried it out and I can say the suspended ground seat creates a very comfortable ride. It allows me to relax in the seat very well. After using the modified saddle for the last week I have come across a new saddle problem- I start to fall asleep while riding down the road! It’s that comfy! It has a very solidly built fiberglass covered wood tree, with a slick A fork. It has many tie out points for gear. The tree and seat is small, 19″ tree, 14.5″ seat. The stirrup points are centred for balanced riding. It has western center fire rigging for secure saddle mounting and adjustments. The panels under the tree are the 1st Gen System 1 Flex Panels made by Len Brown/ Orthoflex. They are 24″ long. They flex while riding and help disperse the weight throughout the back. 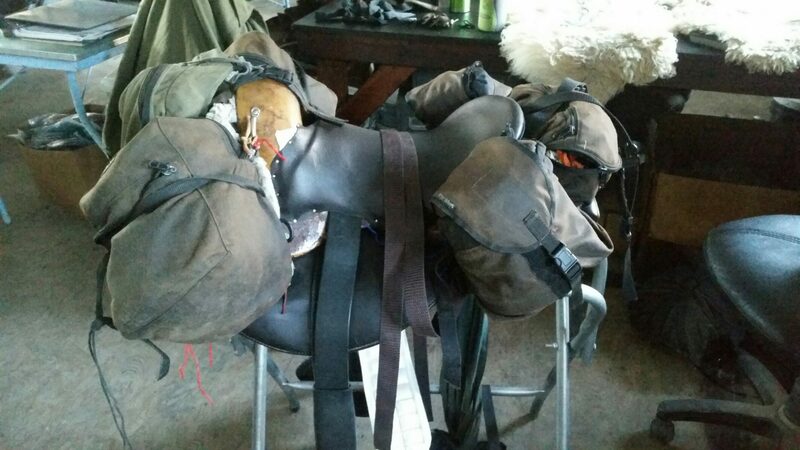 As the panels extend far beyond the tree, I am able to tie off the saddle bags and still have them lay on the panels and not against the horse. The seat of the saddle is a custom suspended ground seat made by Eli Miller. It still allows for close contact as it sits close the actual tree. It is also a narrow twist which is good for my hips. 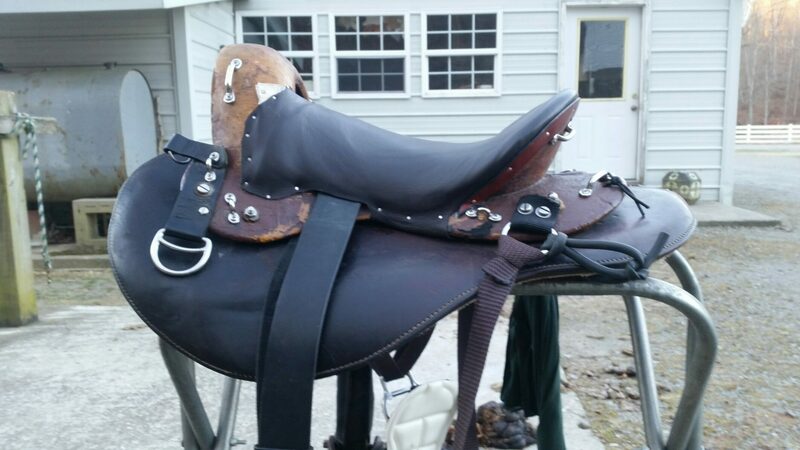 Eli Miller saddles are a little piece of heaven for horse and rider. I have 2 they are very special to me. I am so happy he was able to help you and your horses comfort. 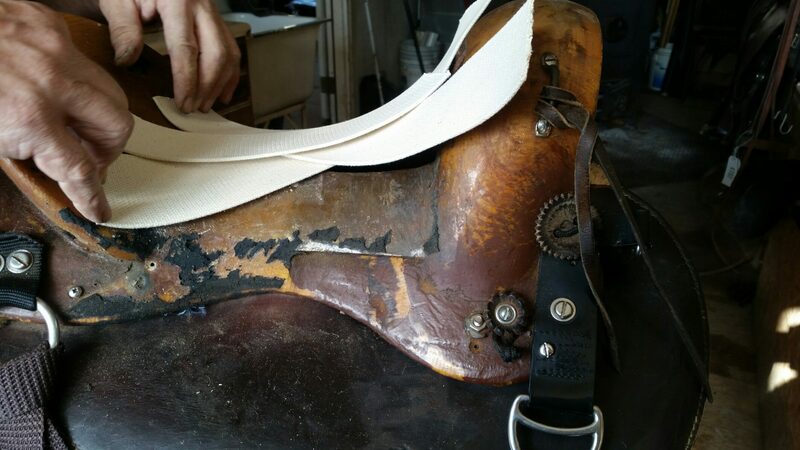 Ortho-Flex will soon have another saddle to add to it s lineup and will be offering customization on all models. 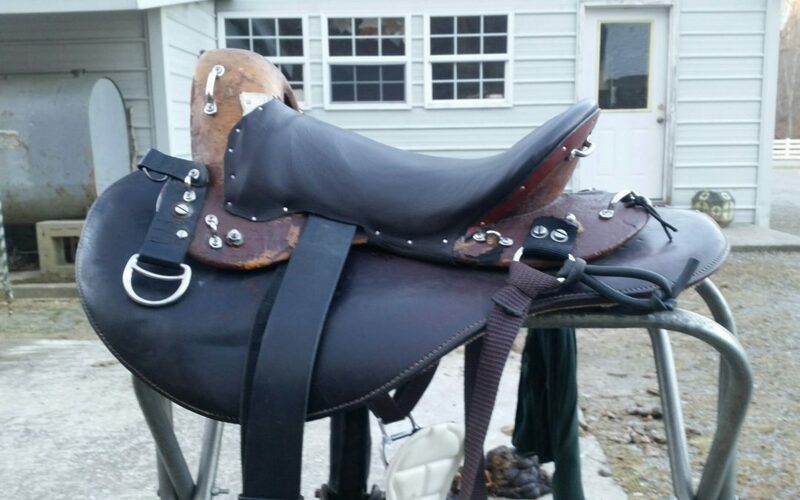 Lisa Brown (Stewart) from Ortho-Flex Saddlery, here: I am very happy this saddle may be just the thing to keep your horse’s back sound over the many miles, and happy you were able to customize the seat for your own comfort. I also am happy to see you are not carrying too much weight, and you’re keeping the bags off the horse’s loins. Good luck! Re-read my treatise on saddle fit on the Long Riders Guild website to be sure you know how to properly palpate your horse’s back, sides, and girth for soreness. Google “Saddling for the 21st Century.” Palpate, palpate, palpate for soreness every night, after the saddle has been off for an hour or two. I don’t care how perfect I think the system is, there is nothing more difficult to do than keep a horse’s back sound with daily riding, week after week after month. Good luck. Palpate! Len mentioned in various places that the system 1 panel set up sometimes doesn’t work well on downhills. I notice this. I am currently using a 3/8″ wool blanket underneath. I may replace this with a 30″ ultralight 1/4″protector. And see how Roxy goes down the steep hills I will encounter in Mexico. If need be, I will replace the flex panels with custom fitted rigid panels (or remove the delrin, and add in material where needed) to be used alongside the Protector. The tree shape and small size on this saddle suits me well, and after having put on the suspended seat and extra tie out points it’s a pretty sweet ride for our trip. The suspended seat is extremely comfortable. I just want it to be a little better fitting for the downhills. Yesterday on my day off I managed to get some orthoflex booties with shoulder shims included. I tried them out today and they worked great. The saddle sat a little higher in the front, and Roxy moved out into her fast walk much better than normal. More spring in her step. She also did very well on downhills. The wear pattern was more even throughout the hollow area as well. I’m pretty happy with the original orthoflex booties!